Since beginning blogging, a number of people have asked me how to start a blog. After typing all this information in a variety of emails and Facebook messages to friends and strangers, I’ve realize there is an interest in this process among my readers. 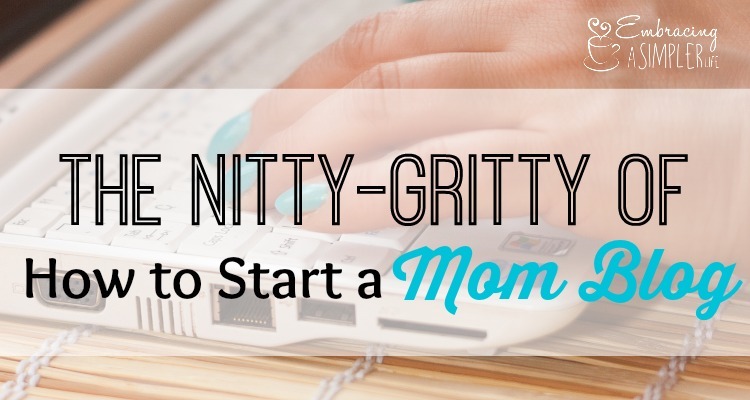 So here’s a post for those of you who want to know the nitty-gritty of starting a mom blog (or any blog). Through running four different blogs of my own, all set up in different ways (Blogger, WordPress.com, WordPress self-hosted, and Squarespace), I becoming something of a “beginner’s expert” on it all. First off, if you’re wanting to start a professional-looking blog, be ready to invest about $250 to get started. 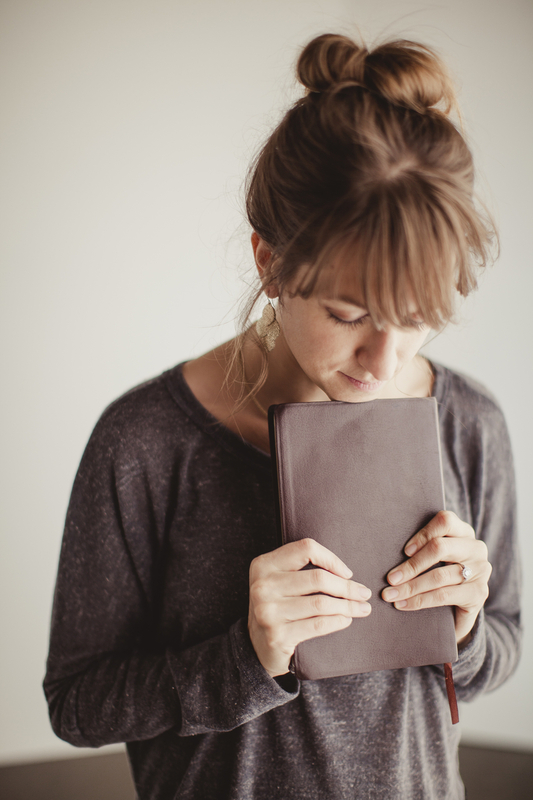 While that may seem like a lot, it’s really a necessary first step to lay the right foundation. However, if you’re looking for a personal, friends-and-family-only blog with no future ambition of turning it into a business, a free blog will be just fine for you. For this, I’ve found wordpress.com to be the best. I use and recommend BluHost. They are a reputable hosting company and, in my experience, quite user-friendly with wonderful, personalized support for a non-techy person such as myself. Free blogs strictly limit your opportunities to place advertisements, which you will likely want to do as your blog takes off. There are some issues with who actually “owns” the content you publish to a free blog. When you decide to get serious about blogging, it’s not easy to switch from a free blog to a self-hosted blog. More than likely you will have to start over, and you don’t want to do that. It is possible to migrate your blog to a new site, but this is a highly-troublesome process. There’s no good way to do it, and you may end up needing professional help, which will be far more expensive than doing it right to begin with. Bluhost will also set you up with your own domain name, also very important for a polished looking blog. This costs about $15 per year and will go far in giving you credibility with your readers and search engines such as Google. Once you’re squared away with web-hosting and a domain name, you’ll need to install the WordPress infrastructure. This is free through wordpress.org. Through Dreamhost, all you have to do is click one button, and they will install WordPress onto your site! Once installed, you’ll need to either hire a web designer or select a pre-designed theme. While there are many free themes available around the web, it is important to stick with a WordPress Premium Theme. This is where you can expect to spend around $50-$80 more dollars, depending on which theme you select. Fortunately, this is a once-in-a-lifetime cost, unlike web hosting and domain name fees. Why spend money on a premium theme? Premium themes, generally speaking, are themes developed by professional web designers with an emphasis on quality. If you choose to go with a free theme, you will potentially be shooting yourself in the foot. Your pricey web-hosting service will be undermined by a theme that is not well-coded. This will bog down your site and potentially cause many other problems. It also may not display well on mobile devices. Are products of quality that usually come coded for “responsive design” (meaning they display well on a variety of devices). Are updated by the seller. These updates are included with the purchase price. Are user-friendly on the back end. My theme was purchased from a company called BluChic. Their themes are developed specifically for women and all beautiful. For other good sources of premium WordPress theme, check out Mojo Themes and Elegant Themes. Once you’ve chosen and purchased a theme, you’ll need to install it and adjust the settings to your liking from your WordPress dashboard. The final investment I chose to make from the get go was a PicMonkey.com subscription. This is an online service where you can easily add text to photos. Title photos such as these are important for sharing your posts on social media, such as on Pinterest or Facebook. The nice thing about PicMonkey is you can use the site for free with limitations. However, anyone who plans to use it frequently will most likely want to pay the $33 per year for full access. While I have Adobe Photoshop on my home computer, I find PicMonkey infinitely faster and easier for this purpose. It’s been well worth the investment for me. 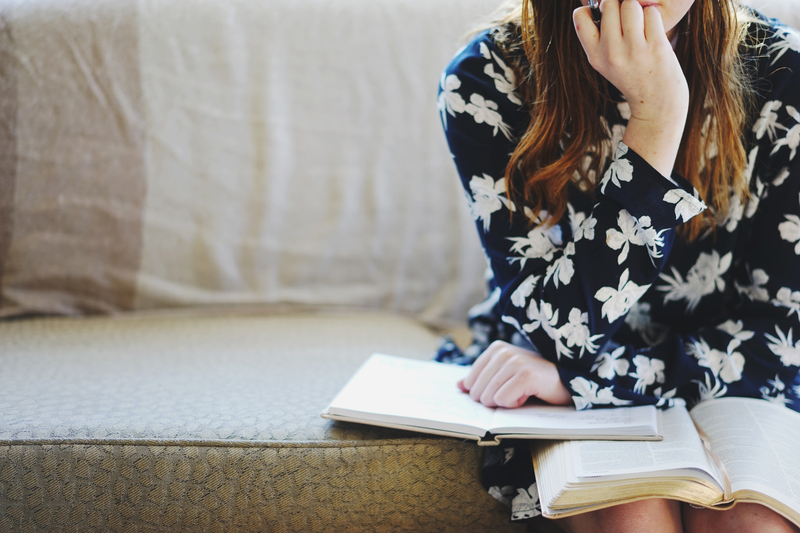 When looking to start my blog, I read a number of books on the topic. For me, the best one hands-down was Mom Blogging for Dummies. There are also some wonderful podcasts out there for bloggers. I especially love How They Blog by Kat Lee. I also purchased and used her Blog Planning Kit as I was getting my bearings on my blog and found it very worthwhile. 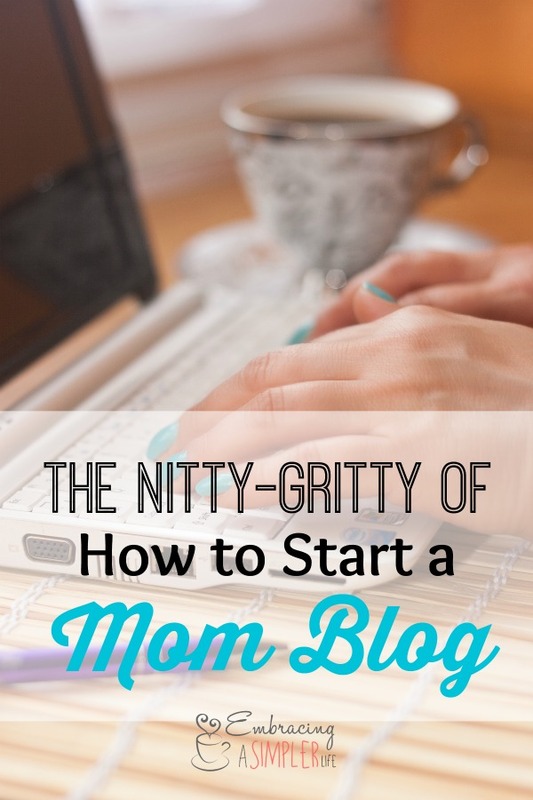 Now you know the basics to setting up and launching your very own blog! Katie, thanks so much for posting this. I love writing and have blogged very sporadically over the past couple of years, but I’m feeling strongly lately that I want to make blogging more of a priority. I have a question about the pictures you use for your post titles/headings – I know you said you use Picmonkey to add the text to them, but where do you get the background images themselves? Are they free stock images, images you’ve purchased, or something else? Thanks for your help! Traci –sorry to just now be getting back to you! I usually get my images from one of three places. 1) I take them myself. 2) I use pexels.com, which has great photos that can be used without giving attribution (it’s called a CC0 license), or I get them from Lightstock.com, which is not free, but I have a monthly subscription for $10 that allows me 2 downloads per month and weekly free downloads that I’m collecting little by little. thank you! thank you! thank you! this is extremely helpful & very concise on how to get me started, You are the best! Awesome Michelle! I cannot wait to read your blog when you get it up and going and to see everything God will do through you as you share your story. This was SO helpful, Katie. I’m thinking of re-launching my Blog and this gave me great insight into the best path to follow for my business. Thank you from a fellow “Bennett”. LOL I appreciate you sharing your expertise! That’s awesome Penny!! Thank you so much for stopping by. Come back and give us the link if/when you get it up and going! I’d love to check it out! I love Kat Lee! I also love Ruth Soukup’s How to Blog for Profit without Selling Your Soul. It is a whole lot less about making money than it is about building an awesome blog and getting the word out about what you are doing. This is a great article Kaitie, a fabulous resource for anyone who is considering starting their own blog. Thank you so much Sarah! I actually just purchased How to Blog for Profit in the Ultimately Homemaking Bundle (available starting Monday, but I got early access as an affiliate). I am excited to read through it! Also, I want I want my following of readers to be able to identify with me but not be able to identify me. So in that case how would I be able to use social networking to advertise my blog wean while maintaining my alias? You will need to establish a separate social media presence for your blog. For example my blog Facebook page doesn’t include any sort of link to my personal Facebook account. I could easily separate my Pinterest, Instagram or Twitter account in the same way. I will point out though, that you won’t find many highly-successful bloggers out there who remain anonymous (I don’t know any). I also don’t know why that is, but it’s something I noticed when I was debating how to handle this aspect of becoming a public figure. I’m protective of my personal information such as phone or address, but not my full name. I think like any author or public figure, it feels unnatural not to know them by a distinctive identity. Maybe a pseudonym would be a good option for you?? Or maybe that’s what you were planning. Just a thought. Thank you for this detailed information! I was wondering, how exactly do you actually make money with blogging? Have you made profit? Please share details of how this has helped you either financially or just personally. I’m interested in starting a blog, I’m a new mom and now a stay at home mom, but I have more to say then just mommy woes, and cooking…. I’m kinda all over the map with topics…so not sure where to direct or market my blog. Maybe you have some tips for me on that as well?, thank you! Great questions Samantha! I have made a little money since starting my blog about a year ago. Like, maybe $100 total, which doesn’t even cover the cost of running it. However, I am laying a foundation that may lead to more money-making potential in the future. Right now my focus is establishing my presence in the blog world and building my audience. All of that is a lot of work with no monetary compensation, but thankfully I feel called by God to do this, so I’m happy to put in the time even if I never make it profitable. I have made money 2 ways, through affiliate marketing (when I recommend a product on my blog, I use a special link that allows me to receive a small cut if my reader makes a purchase) and through placing advertisements on my site. These advertisements only earn me about $1-$2 per month though. It is very important to define yourself as a blog. Not that you can’t incorporate a variety of topics (I do), but you need a very strong theme that will allow you to both stand out and find your people. I would focus your energy here before moving forward with an actual blog launch. The Blog Planning Kit helped me define my niche and target audience, so that may be a place for you to start. Thank you for sharing all this information with me, I find it very helpful and quite impressive. Your advise is the first I’ve had, and I’m very thankful for you taking time to respond. I think your suggestion of not starting a blog right away is smart, I do need some time to really identify myself. So as I work figuring that out I will practice my blogging by actually reading and responding here. Would you like to know how I happened to find your blog? It seriously screams “fate” to me. Today I decided to start my resurch on the blogging world, and my first search was titled “top blogs to read”. This took me to a list of blogs, naturally I chose to open “top mommy blogs”. This then led me to a huge list of blogs. I began to read the names and first few sentences of each blog on the first page, and waited for one to speak to me. With no success on the first page and then feeling frightfully overwhelmed at the number of pages left to sift through, I responded to my gut instinct. I said to myself, “pick page 8, since that’s your lucky number”. You were the first blog listed on page 8, and your title is something I’ve been saying to myself since I quit my job…”embracing a simpler life”. Check one, connection felt. So I then open your latest blog to read and within the first sentence, I knew, you wrote this blog for me. Samantha, that is so cool! Thank you for sharing! I look forward to getting to know you more! When you do get your blog up and going, be sure to send me the link!